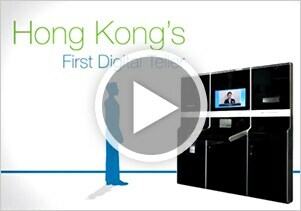 Sitting at the heart of Central, our Exchange Square branch is equipped with Hong Kong’s first Digital Teller. Now you can speak to our teller via real-time video to manage cash deposits and withdrawals services in six foreign currencies. This innovative system has won the Best Branch Automation Project in the Asian Banker Achievement Awards 2015, an acknowledgment of our success. With Breeze Trade, you can now enjoy free real time stock quotes, market news, stock tracking and portfolio review in a handy way. It is good to grasp every investment opportunities anytime, anywhere. Dedicated to providing a convenient banking experience, you can perform a wide range of transactions with Standard Chartered Bank's choice of 3 ATM cards. Because we know you're busy, we offer a wide range of automated banking services at branch locations, ATMs, Cash and Cheque Deposit Machines and Passbook Update Machines all over Hong Kong. Standard Chartered's Breeze Places app makes banking on the go easy. We help you find your nearest ATM or call your branch simply and quickly, even when you are on the move.